Today it’s all about the Gurdy! It’s lovely to be appreciated! This thank you note just arrived through The Grinnigogs letter box. If you are planning a medieval wedding ‘The Grinnigogs’ are a perfect way to set the scene and create the right ambience. Music is a lovely way to enhance the atmosphere and emotion at your special event. 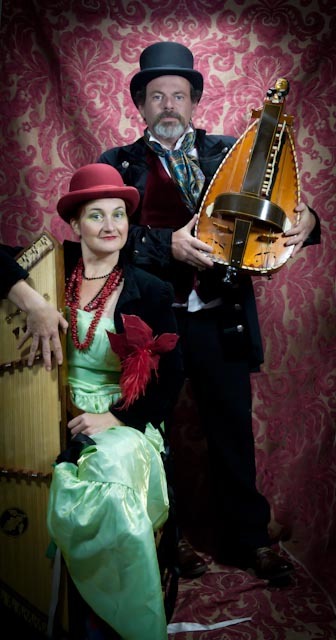 The Grinnigogs specialise in performing medieval style music on Hammer Dulcimer, Hurdy Gurdy, bagpipes and cittern. The Grinnigogs can tailor the entertainment to suit all budgets, from an intimate ceremony to a huge gathering for family and friends. We can also supply fortune tellers, storytellers, jesters, magicians and acrobats to keep adults and children entertained, a medieval master of ceremonies to introduce the food, the speeches and amuse all with humorous asides and medieval games, challenges and riddles. It’s never too late to book medieval entertainment! Amanda Lowe and Jill Fisher are ‘Occam’s Razor’ they play a a mixture of Medieval, Renaissance !8th and 19th Century tunes that they have finely crafted into a unique and beguiling sound – the combination of violin and hammer dulcimer being unusual and delicate with a delightful underlying bit of welly and the potential to really fly. Occam’s (or Ockham’s) razor is a principle attributed to the 14th century logician and Franciscan friar William of Ockham. Ockham was the village in the English county of Surrey where he was born. In fact, only the first two of these forms appear in his surviving works and the third was written by a later scholar. William used the principle to justify many conclusions, including the statement that “God’s existence cannot be deduced by reason alone.” That one didn’t make him very popular with the Pope. So if you are planning a medieval event at The Priest’s House and need to book medieval entertainment? 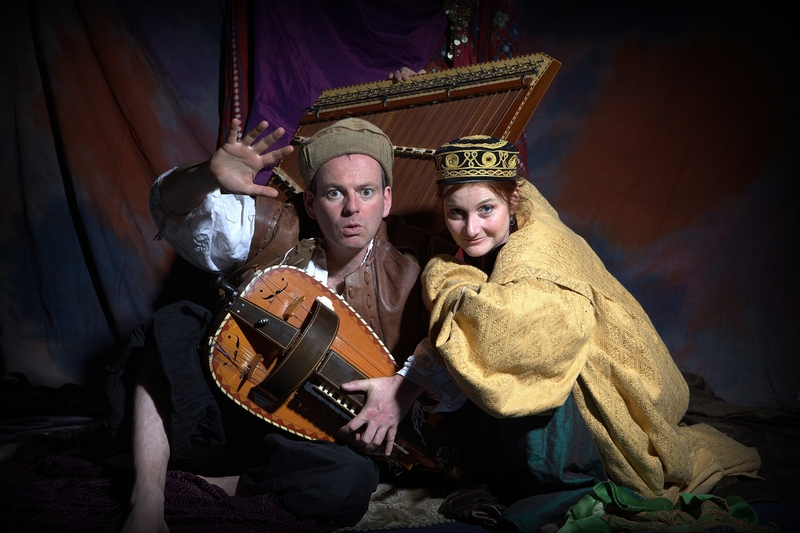 The Grinnigogs are medieval minstrels experienced in providing music and entertainment at medieval banquets, weddings, handfastings, parties, themed evenings and corporate events.